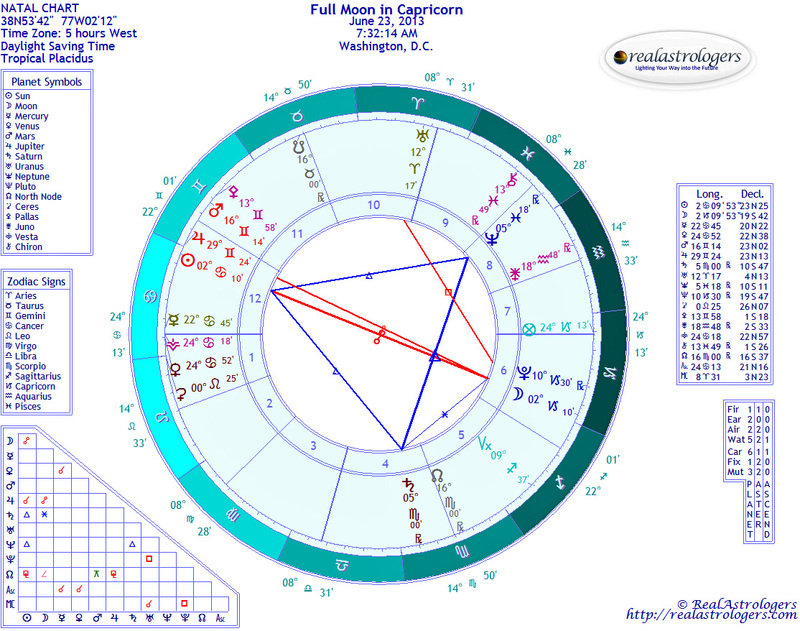 The biggest astrological event this week is the Full Moon in Capricorn, which brings more emphasis to the cardinal T-square/grand cross that just won’t quit. Normally, what we start at the New Moon comes to fruition or at least reaches a major milestone at the Full Moon. Capricorn is known for being orderly and structured, but with the Sun and Moon in a fairly close square with erratic Uranus, the order is subject to change without notice. Also, Mercury was retrograde and behaving strangely at the New Moon. Add Uranus into the mix, and “fruition” prbably won’t be what you had in mind. This entry was posted in About astrology and tagged capricorn, full moon in capricorn, Mercury retrograde, Saturn, Vesta on July 6, 2014 by Pat. Mommy Deerest. © Pat Paquette, 2013. We have an eventful week ahead, with the summer solstice and the biggest Full Moon of the year. By “biggest,” I don’t mean astrologically, but literally. Next Sunday’s Full Moon in Capricorn occurs just 22 minutes after the Moon reaches its closest point to Earth in 2013. It actually will appear larger in the sky than usual. This is the closest the Moon will get to the Earth until August 2014. You can find a terrific article about it on EarthSky.org. I love that the author discusses the history and meaning of the term “supermoon” without dissing astrology. Rather than breaking down the week by individual transits, I’ll discuss the week’s astrology through the Cancer ingress and Full Moon charts. That will be plenty, I’m sure. Starting with the Cancer ingress, I’ve set the chart for Washington and will base my interpretation on the United States, with apologies to my many readers around the world. I have to set the chart for somewhere, and this happens to be where I am. So, with that caveat, let’s have a look. There’s no doubt that we’re starting out the season with a debate on the surveillance state, which is described perfectly by Pluto in Capricorn in the tenth house. See last week’s forecast for more on that topic. We also find Uranus, planet of rioting and rebellion, in the first house and still in a fairly close square with Pluto. It’s hard for me to imagine people rioting in this country over privacy issues or even low employment, which also is a tenth house issue. Be that as it may, there does appear to be some serious discontent on the way in the next few months. It’s interesting to note that the Sun in this chart is in the fourth house, closely conjunct Jupiter on the fourth-house cusp. In mundane astrology, the tenth house represents the party in power, while the fourth house represents the opposition. The Sun represents the country’s leaders, especially the president. According to the rules of mundane astrology, the leaders of this country, including its president, are more in the camp of the Republicans than the Democrats. Then, as John pointed out in an excellent comment on last week’s post, there’s not a whole lot of difference anymore. And, as it also so happens, Jupiter in mundane astrology represents banks and bankers. I don’t know how they could be any more in cahoots than they’ve been in the past, but this chart suggests an even closer relationship – or, at the very least, a significant event on the way rooted in these shady connections. We also see a very tight inconjunct (technically, a quincunx) from the Moon to Jupiter and the Sun. The inconjunct says “nothing in common.” You don’t need an astrologer to tell you that our political and financial leaders are totally out of the touch with the people. It’s not so much that they don’t have their interests at heart, but that they don’t even know the meaning of the word “public interest.” However, the Moon and the Ascendant are in perfect harmony, so even if those at the top don’t “get it,” comprehension may be dawning within the public at large. Yes, hope springs eternal. Despite the “fertile garden” image, there are several indications in this chart of death and sorrow, whether from epidemics, severe weather, or some other cause. Planets on the fourth-house cusp can indicate weather patterns. Jupiter suggests very big ones, and in the air sign of Gemini, we’re probably talking violent winds. The National Oceanic and Atmospheric Administration already has said that we can expect a extremely active hurricane season in 2013. This chart would seem to reinforce that assessment, and I think it’s also possible that the summer’s spectacular grand water trine also could make for some massive storms involving flooding. I concede that weather astrology isn’t my forte, so we’ll have to wait and see. Venus and Mercury are conjunct by exact degree. Venus represents peace and diplomacy, while Mercury represents commerce and the media. This would seem to be indication of positive developments, but Mercury is stationed, about to turn retrograde on June 26, and neither planet makes aspects to other planets in the chart. Moreover, they are in the fifth house, a sort of “light-weight” placement. Whatever these two have to say likely won’t be taken seriously this summer. However much we value programs to educate and protect our children, it may be that other issues are going to take precedence. There is more I could write about the ingress, but let’s turn now to the Full Moon, which occurs on June 23. The Moon is in her detriment in Capricorn, but the Full Moon in Capricorn always falls with the Sun in Cancer, the sign the Moon rules. This gives us a week or so of inner angst and collective tension. The word “lunatic” derives from an old belief that people acted crazier at the Full Moon. With the Moon at her closet to the Earth and the motion of the Sun “stopped” as perceived from Earth, I’d say it’s a good bet there will be a lot of craziness. Add to that the connection to the 2010 cardinal T-square by degree, and we’ve got the makings of a perfect storm, be it symbolic or literal. As you can see in the chart, the Sun makes a lovely grand trine with Saturn and Neptune, an early reflection of the rare configuration about to take place with Jupiter, Saturn, and Neptune. The trine with the Sun will be more exact toward the middle of next week, and then the trine with Jupiter will be exact on July 17. I’ve written before that this astrological phenomenon indicates a window of opportunity to make headway in some of your most cherished goals. You should know by now what they are, and hopefully you’ve been doing the work. In world affairs, this is also a time to make some progress on issues that have been at a standoff. However, the political will to do so must exist, and I’m not sure I’m that optimistic. 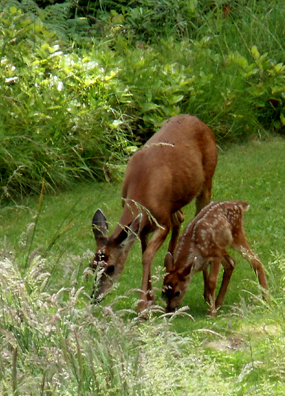 At the most fundamental level, Cancer and Capricorn represent mother and father. It’s no accident that throughout history, people have referred to their countries as the “fatherland” or the “motherland.” Governments and their leaders often represented parents, with an expectation that those parents would take care of their children. Many of us still have those expectations, although they vary wildly. At the most basic, we expect our government to protect us from foreign enemies. But it would seem – in this country at least – that what we’ve got is more like Saturn devouring his children. Lest you find this metaphor somewhat morbid, remember that in the Greek version of the myth, the children were saved by mother goddesses Rhea and Gaia, who hatched a plan with Zeus (Roman Jupiter) to give Cronus one hell of a bellyache so he would vomit the children back out. They then overthrew him and became the twelve gods of Olympus. I’ll end on another personal update, since I know that many of you are still waiting for reports. Also, a couple of readers have written to ask whether there will be a summer StarGuide. I have started writing reports again, but it’s very slow going. I’m hoping I’ll continue to improve, but I’ve learned that I need to stop making promises, because I never know what to expect from one day to the next. I feel better today than I’ve felt in a long time, but I could wake up tomorrow with a splitting headache. In order to get through the backlog, I’ve posted a notice on my report order page that I’m currently not accepting new orders. Of course, I’ll post a new note when that changes. * From The Sabian Symbols in Astrology, by Dr. Marc Edmund Jones. The author, an astrologer, channeled this work in 1925 with the help of Elsie Wheeler, a gifted psychic. There’s one symbol one for each degree of the zodiac, and we can use them to gain insight into charts. This entry was posted in Forecasts and tagged full moon in capricorn, Jupiter in Cancer, Jupiter in Gemini, Mercury retrograde, summer solstice on June 16, 2013 by Pat. Looking Over the Edge. © Pat Paquette. Most of you know by now that there will be a lunar eclipse at the Full Moon on June 26. As we approach the eclipse, the Earth, Sun, and Moon are steadily moving into alignment, exerting a powerful gravitational force on our planet. This is just a partial eclipse, but it will be followed two weeks later, on July 11, by a total eclipse of the Sun. This alignment overlaps with an astrological alignment of several planets in a T-square, which is exerting a different kind of force — one that scientists dismiss as superstition and that astrologers admittedly don’t understand completely. Based on many centuries of observations, we know that certain events on Earth correlate with planetary cycles, but we aren’t able to explain exactly how or why this happens. I wish I could remain optimistic, but as of this writing, I’m exhausted, weary, and unnerved. As dramatic as events have been over the past three months, it appears that they’ve been only the tip of the iceberg, and we’re going to have to rally our spirits and resources to get through the weeks and months ahead. Events related to this lunar eclipse may occur earlier in the week, which is why I’m posting this analysis a bit earlier than usual. 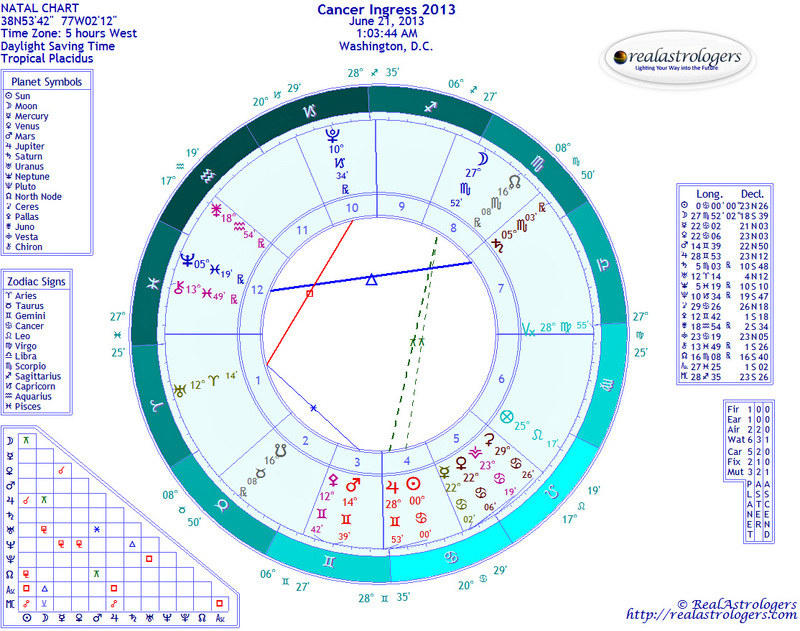 The Sun’s ingress into Cancer on June 21 activates a tight cardinal T-square, with the Sun square Uranus and Jupiter in early Aries and opposite Pluto. I’ll have more in my weekly forecast, which I’m hoping to publish on Sunday evening. 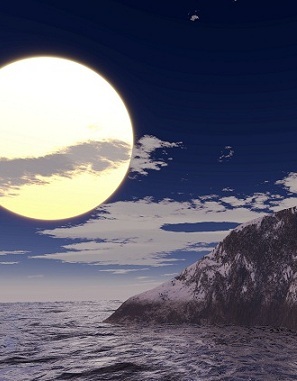 The Full Moon peaks at 7:30 a.m. EDT (11:30 UT), at 4°46 Capricorn opposite the Sun at 4°46 Cancer. The Moon will be in the same degree as Pluto, with Sun, Moon, Pluto, and Mercury in a tight square with Uranus at 0°33 Aries and Jupiter at 2°14 Aries. That’s a lot of pressure on the Earth. I do not feel qualified to use astrology as a predictive tool for earthquakes, volcanic eruptions, storms at sea, and so forth, so I will leave that up to others. All I will say is that I wouldn’t be surprised by such an event. Continued financial collapse and political unrest I take as a given, whether at this eclipse or later in the summer. Now, I have to say that there is some question in my mind about the role of Saturn. As ruler of Capricorn, Saturn is lord of this Full Moon, so he definitely is a key to our interpretation. Further, he is closely square the Sun and Moon, but technically, he’s not part of a cardinal configuration, as he is in the final degrees of Virgo, a mutable sign. Saturn can be a stabilizing influence that keeps all hell from breaking loose. This is important. Using the example of BP, it could make the difference between a successfully drilled relief well that decreases the flow of oil into the gulf and a miscalculation that causes the whole well to collapse. However, in a mutable earth sign, Saturn literally could signify moving earth. I don’t like the sound of that. Further complicating matters, if I were a sidereal astrologer, I would consider this eclipse to be a tight mutable grand cross. That would still create a lot of change, although a cross is more stable than a T-square, and Saturn’s influence would most definitely be stabilizing. Isn’t this a nice little dilemma? Either we have a cardinal T-square, in which case Saturn is the “release” point across from the apex, or we have a mutable grand cross — two different interpretations, with different sets of implications. Regardless of which astrological system we use, there are two possible release paths in this eclipse, represented by the soft aspects that allow energy to flow. The first is Mars, which at 10°23 Virgo is at a wide sextile to the Sun and Mercury and a wide trine to Pluto and the Moon. Mars is the planet of war and aggression, but he’s also the sign of action. Virgo is analytical and results-oriented, and it’s also the sign of detail-oriented work such as engineering and financial accounting. Geniuses in either of those fields would be most welcome on the planet right now. The second soft aspect is to Neptune and Chiron, conjunct in the last degrees of Aquarius and first degree of Pisces. This places them in a wide trine to the Sun and a wide sextile to the Moon and Pluto. I’ve written a lot about the healing potential in these two outer bodies. As individuals work on our personal healing, we are contributing to a collective that is healthier in mind, body, and spirit. Many of us are horrified by recent events, all the more so when we realize the small ways we have been contributing unconsciously to environmental degradation, war, and human rights violations. If I can’t predict anything else, I can say with certainty that events this summer will be a wake-up call for those who have been half asleep. As I commented in the last Full Moon post, We often forget, as we plod along in our daily grind, that it takes only one extraordinary moment to change our lives forever. This is true for individuals and for society as a whole. In these tumultuous times, we can’t take anything for granted. Unfortunately, those who are in sound slumber aren’t likely to wake up at this point. I’m sorry to have to say this, but let’s face the reality. As for Venus, the lonely planet of love and beauty is unaspected in this eclipse. I suppose I could stretch and put her in a wide semi-sextile with somebody or do a mathematical sleight of hand and make her a midpoint of something, but I like to keep things real simple. Look at the chart, and you will see her alone, hanging out all by herself at 14 degrees Leo. Girls just wanna have fun, and there’s no one to party with. So here’s what I would advise her to do: Bake treats for your family, take some to your neighbors and co-workers, and do whatever you can to spread as much cheer as possible in the world. The Sabian Symbol** for the Sun at 4°46′ Cancer is an automobile wrecked by a train, with the keyword DISPERSION. When we act in a certain way, individually or collectively, we set off a chain of events that reach a logical and even predictable outcome. Yet, at any step of the way, if we recognize that we’re on a destructive path, we can change directions, but we have to have a good idea of where we’re going and how we’re going to get there, or we could end up in even more trouble. For the Moon at 4°46′ Capricorn, the Sabian Symbol is Indians rowing a canoe and dancing a war dance, with the keyword MOBILIZATION. In keeping with the nature of cardinal signs, this symbol is about action. External circumstances sometimes require us to set aside our ideals and focus on practical necessities. Tough times demand hard decisions and aggressive leadership. It will be important for us to remember these symbols and their messages in the two weeks ahead. Following this lunar eclipse, we’ll be in a difficult inter-eclipse period that will culminate with a total eclipse of the Sun on July 11. I will have more on these trends in the days ahead, so check back. This entry was posted in Full Moon and tagged cardinal T-square, full moon in capricorn, full moon lunar eclipse in capricorn, lunar eclipse, mutable grand cross, Saturn in Virgo on June 19, 2010 by Pat.